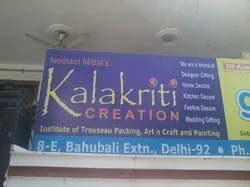 Kalakriti Creation began its journey in 2014 as Manufacturer and Supplier of exceptional range of Decorative Products and Boxes. We offer quality range of products which includes Wall Painting, Home Décor Products and Cutlery Sets. Owing to high durability, superior finishing, dimensional accuracy and longevity, these products are heavily demanded in the market. Due to these aspects, we have been able to surpass our competitors in terms of quality, innovative technology and ethical business skills. We have developed leading edge infrastructure system for fabricating our wide range of products with maximum perfection. We have implemented advanced production lines for manufacturing of these products by using modernistic machines of injection molding processes. On top of that, we have developed quality testing unit for inspection of these products under strict quality control parameters. With use of skilled designers, we design these products in various stipulations as per latest industrial standards for serving diverse needs of clients. Under the adroit management of Ms. Neelam Mittal, we have achieved remarkable success rate in this field. Our officers' prime goal of attaining utmost clients satisfaction by providing quality products have established us as most accomplished firm in the market. 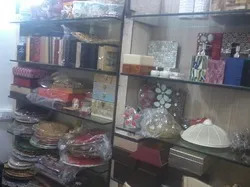 Manufacturing and Trading of Occasion Decoration Items. 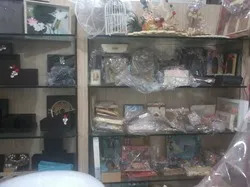 Situated in Delhi, we are committed in supplying an unmatched range of products to our customers. With our customized solutions and ethical dealings, we have become the most preferred choice by the customers across India. 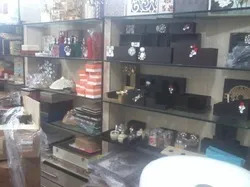 Our organization has been backed with an amazing infrastructure that helps us to manufacture and store our vast range of products. With separate departments, the work load is divided and this helps to speed up work. The entire team is alert and ensures that every product is up to the mark and exceeds international quality standards. Our workers are hard working and open to learn new trends and styles. Our products pass through various quality parameters and ultimately get delivered to our clients. Since our commencement, we employ team of conscientious professional who have wide prowess of this field. Our team comprises of adept designer, production engineer, quality controller, management professional and other subordinates. 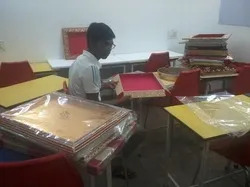 For ensuring manufacturing of products to be carried out as per clients' laid specifications, our team works in close vicinity and co-ordination with each other. Our company is able to serve diverse demands through our efficient management personnel. Quality being the cardinal goal of our company, we have implemented sophisticated quality testing unit. Our offered products are inspected upon various parameters in these units under strict norms. We have a team of skilled quality controller with adamant approach towards quality while inspection of these products. Furthermore, we train our controllers at regular interval for enhancement of their skills to meet diverse requirements of latest quality norms.